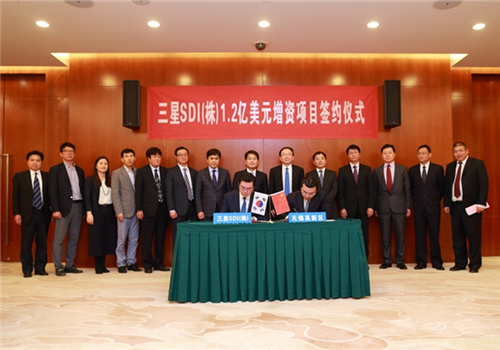 Samsung SDI, a subsidiary of South Korea's Samsung Group, signed a capital increase agreement on its TFT-LCD polarizing film whole-process project with Wuxi National Hi-tech District (WND) on April 27, Wuxi Daily reported. The cooperation project was signed in May 2015. After the capital increase, the total investment of the project will reach to 2.2 billion yuan ($340 million). It is scheduled to go into operation in June and is expected to yield annual gross sales of $500 million. 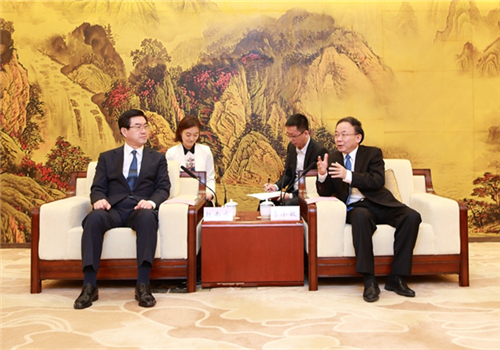 Li Xiaomin, Wuxi Party secretary, and Cho Nam-seong, the president and CEO of Samsung SDI, attended the signing ceremony. Li praised Samsung SDI's achievements in the global new energy development and hoped the new project would pave the way for further cooperation between both sides in other fields. He also pledged that the government would provide favorable policies and a sound business environment for the company's expansion. Samsung is optimistic about China's polarizer film market and content with investment in Wuxi due to its regional advantages and convenient transportation system, said Cho. He also expressed his hope that the new project would become a model for Samsung's overseas cooperation projects and lay the foundation for future cooperation between the two sides in various fields.